To evaluate the effect of internal limiting membrane (ILM) peeling during vitrectomy for nontractional diabetic macular edema. PUBMED, MEDLINE and CENTRAL were reviewed using the following terms (or combination of terms): diabetic macular edema, nontractional diabetic macular edema, internal limiting membrane peeling, vitrectomy, Müller cells. Randomized and nonrandomized studies were included. The eligible studies compared anatomical and functional outcomes of vitrectomy with or without ILM peeling for tractional and nontractional diabetic macular edema. Postoperative best-corrected visual acuity and central macular thickness were considered, respectively, the primary and secondary outcomes. Meta-analysis on mean differences between vitrectomy with and without ILM peeling was performed using inverse variance method in random effects. Four studies with 672 patients were eligible for analysis. 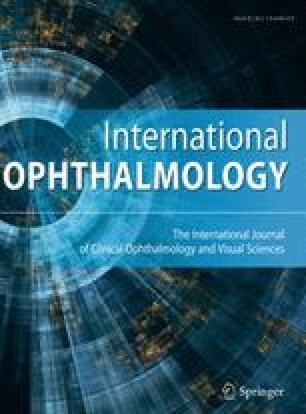 No significant difference was found between postoperative best-corrected visual acuity or best-corrected visual acuity change of ILM peeling group compared with nonpeeling group. There was no significant difference in postoperative central macular thickness and central macular thickness reduction between the two groups. The visual acuity outcomes in patients affected by nontractional diabetic macular edema using pars plana vitrectomy with ILM peeling versus no ILM peeling were not significantly different. A larger prospective and randomized study would be necessary.